In July 2012, I will join the Pacific Northwest National Laboratory in Richland, WA as a scientist. Ph.D. in Computer Science and Engineering, University of California, San Diego, USA, Fall 2006 - May 2012. M.S. 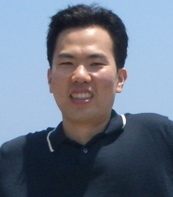 in Computer Science and Engineering, Seoul National University, Seoul, Korea, 2000 - 2002. B.S. in Computer Science and Engineering, Seoul National University, Seoul, Korea, 1996 - 2000. Graduation, Seoul Science High School, Seoul, Korea, 1993 - 1996. Kyowon Jeong, Sangtae Kim, Nuno Bandeira and Pavel Pevzner, Gapped Spectral Dictionaries and Their Applications for Database Searches of Tandem Mass Spectra, Molecular & Cellular Proteomics, 10, M110.002220, 2011. Sangtae Kim, Nuno Bandeira and Pavel Pevzner, Spectral Profiles: A Novel Representation of Tandem Mass Spectra and Their Applications for de Novo Peptide Sequencing and Identification, Molecular & Celluar Proteomics, 8, 1391-1400, 2009. Highlighted on the cover of the June 2009 issue of Molecular & Cellular Proteomics. Sangtae Kim, Nitin Gupta, Nuno Bandeira and Pavel Pevzner, Spectral Dictionaries: Integrating De Novo Peptide Sequencing with Database Search of Tandem Mass Spectra, Molecular & Cellular Proteomics, 8, 53-69, 2009. Pavel Pevzner, Sangtae Kim and Julio Ng, Comment on "Protein sequences from mastodon and Tyrannosaurus rex revealed by mass spectrometry", Science, 321(5892), 1040, 2008. Sangtae Kim, Nitin Gupta and Pavel Pevzner, Spectral Probabilities and Generating Functions of Tandem Mass Spectra: A Strike against Decoy Databases, Journal of Proteome Research, 7(8), 3354-3363, 2008. Noted as one of the most cited articles of the journal: 5th among all articles published in recent 3 years (June 2011). Sangtae Kim, Seungjin Na, Ji Woong Sim, Heejin Park, Jaeho Jeong, Hokeun Kim, Younghwan Seo, Jawon Seo, Kong-Joo Lee and Eunok Paek, MODi : a powerful and convenient web server for identifying multiple post-translational peptide modifications from tandem mass spectra, Nucleic Acids Research, 34, W258-W263, July 2006. Sangtae Kim and Pavel Pevzner, MS-GF+: Universal and Sensitive Database Search Engine for Mass Spectrometry, 60th American Society for Mass Spectrometry Conference (ASMS), Vancouver, Canada, May 2012. Sangtae Kim, A Tour of MS-GF+: A Universal and Sensitive Database Search Engine, RECOMB Satellite Conference on Computational Proteomics 2012 (RECOMB-CP) Tutorial, invited, San Diego, USA, April 2011. Sangtae Kim and Pavel Pevzner, MS-GF+: Universal Database Search Engine for Mass Spectrometry, 8th Annual US HUPO Conference (US-HUPO), San Francisco, USA, Mar. 2012. Sangtae Kim, Exposing the target-decoy approach for peptide identification: lessons from examples, RECOMB Satellite Conference on Computational Proteomics 2011 (RECOMB-CP) Tutorial, invited, San Diego, USA, March 2011. Kyowon Jeong, Sangtae Kim, Nuno Bandeira and Pavel Pevzner, Gapped Spectral Dictionaries and Their Applications for Database Searches of Tandem Mass Spectra, 14th International Conference on Research in Computational Molecular Biology (RECOMB), Lisbon, Portugal, Aug. 2010. Sangtae Kim, Assigning Statistical Significance to Peptide/Protein Identifications., RECOMB Satellite Conference on Computational Proteomics 2010 (RECOMB-CP) Tutorial, invited, San Diego, USA, March 2010. Sangtae Kim, Nuno Bandeira, Pavel Pevzner, Spectral Profiles: A Novel Representation of Tandem Mass Spectra and its Application for Gapped Peptide Generation, 57th American Society for Mass Spectrometry Conference (ASMS), Philadelphia, USA, June 2009. Sangtae Kim, Nuno Bandeira, Pavel Pevzner, Spectral Profiles: A Novel Representation of Tandem Mass Spectra and its Applications for De Novo Peptide Sequencing and Identifications, 5th Annual US HUPO Conference (US-HUPO), San Diego, USA, Feb. 2009. Sangtae Kim, Nitin Gupta, Pavel Pevzner, Evaluating Statistical Significance of Peptide Identifications Using the Partition Function of Tandem Mass Spectra, HUPO 6th Annual World Congress, Seoul, Korea, Oct., 2007. Pavel Pevzner, Sangtae Kim, Nitin Gupta, The Partition Function of Tandem Mass Spectra: a New Approach to Evaluating Statistical Significance of Peptide Identifications, 55th American Society for Mass Spectrometry Conference (ASMS), Indianapolis, USA, June, 2007. Sangtae Kim, Jeong Seop Sim, Heejin Park, Kunsoo Park, Hyunseok Park and Jeong-Sun Seo, A Heuristic Algorithm to Find All Normalized Local Alignments Above Threshold, Genomics & Informatics, 1(1), 26-32, Sep. 2003.